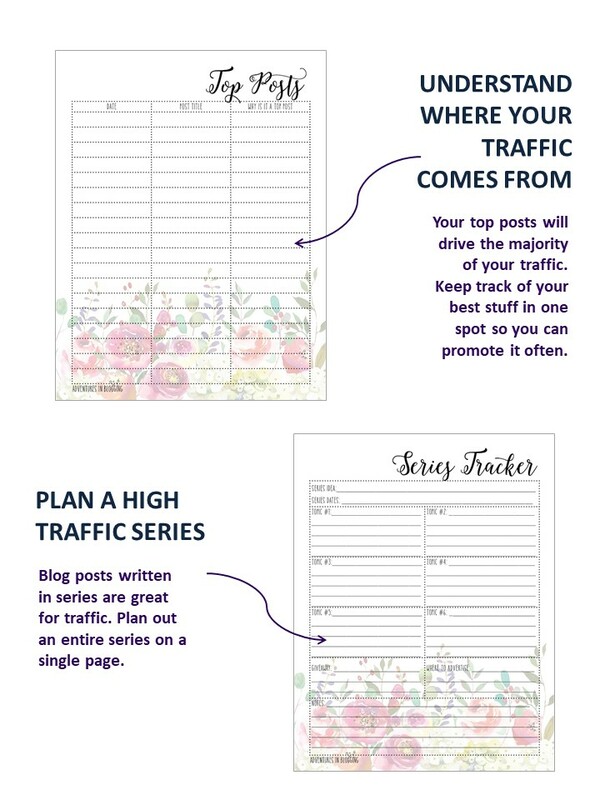 Growing a blog past the point of a hobby takes a lot of planning. You need a way to keep track of it all! 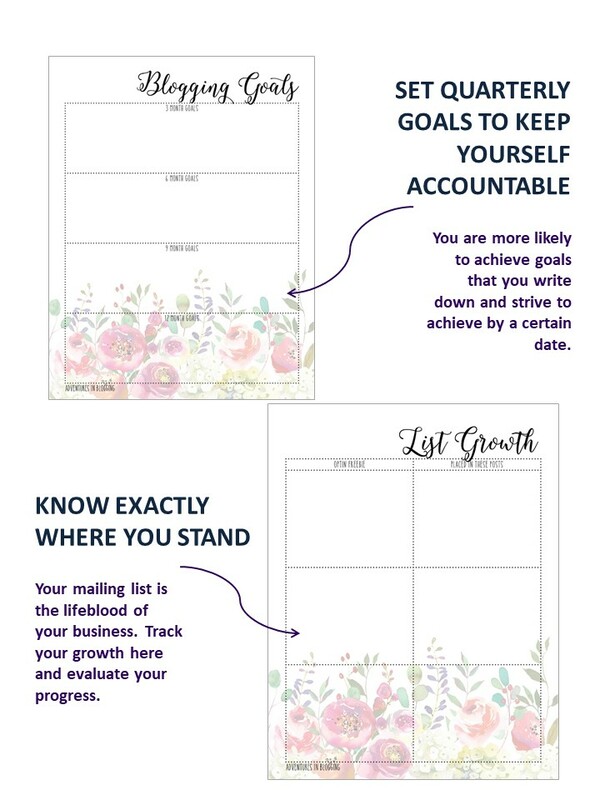 I created this printable blog planner to use in my own blogging business, so I know it's exactly what you need to stay accountable to your goals. I use it every single day. The floral pattern is just gorgeous! Faded enough to get out of your way so you can work, but bright enough colors to keep you motivated. 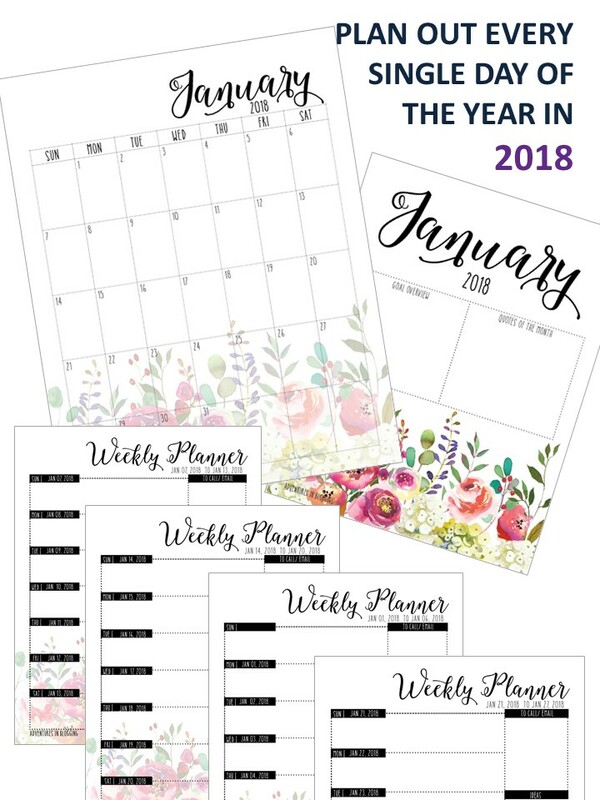 But this planner is more than a pretty floral print. You can do SO MUCH with it. A blog with a proper product stack is WAY more profitable than one without. 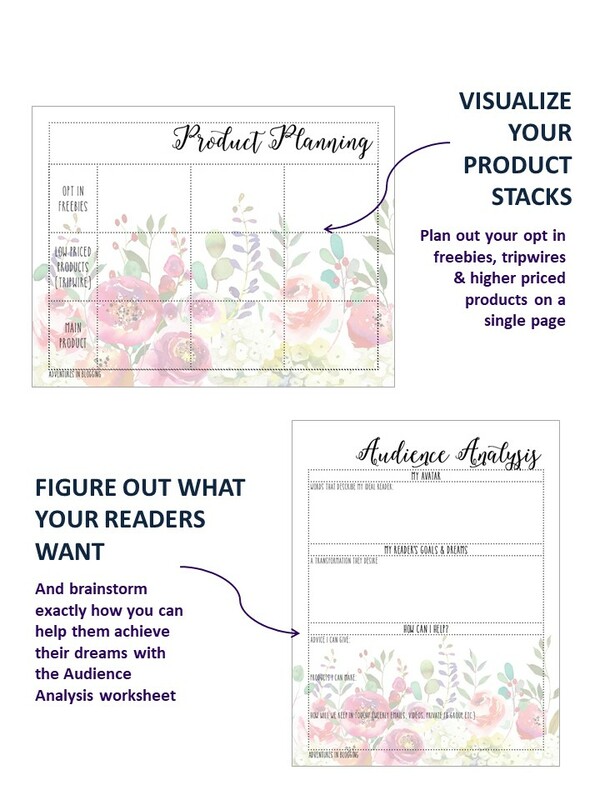 You'll have a way to brainstorm exactly what your ideal customer needs & wants and plan out your products accordingly. No more guessing when it comes to your optin freebies, low priced products, and flagship products. When you have products that help your readers, you need to reach your ideal customers. In order to do this, you need a plan. Don't lose sight of your growth goals...keep track of them quarterly to make sure you're on track. When you keep in touch with your readers, you'll make more sales. 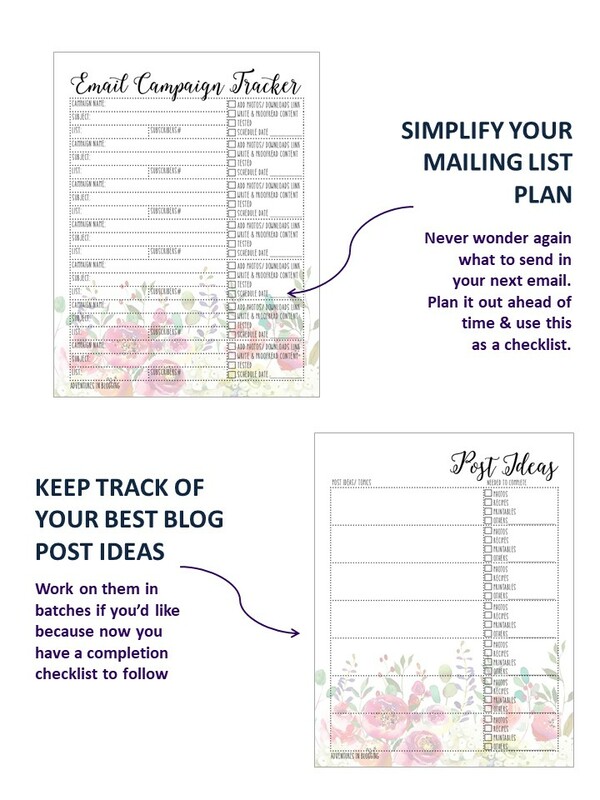 Organize your email campaigns and blog post ideas many weeks into the future. Print as many copies as you'd like to plan out way in advance if that suits you. There is no need to recreate the wheel. When you already know what works, just duplicate it until it stops working! These worksheets help you work smarter, NOT harder. I have missed sponsored post deadlines before...not my favorite thing! This sheet helps me stay on track. 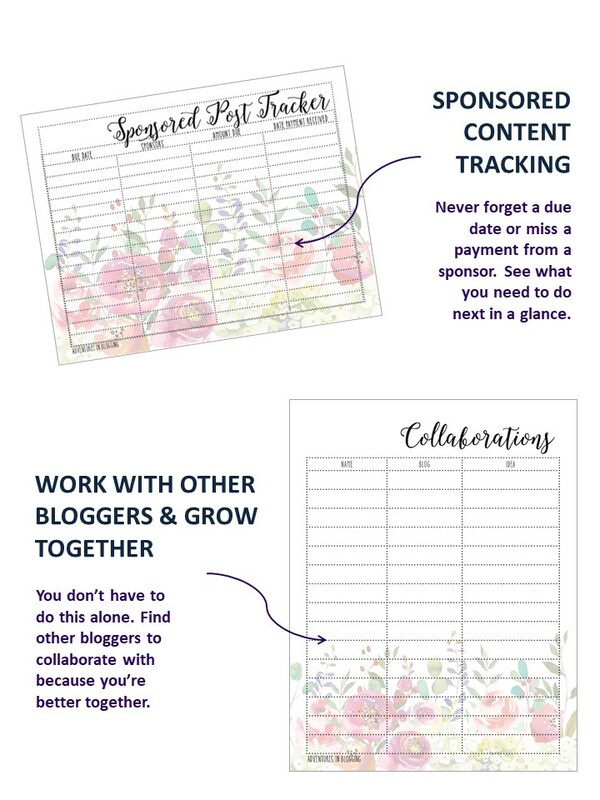 Also, sometimes I like to work with other bloggers on blog post series or cross promotion ideas. This is where I keep track of all my collaborative ideas. Every day of 2018 is accounted for in this planner. Make this YOUR YEAR to do amazing things. 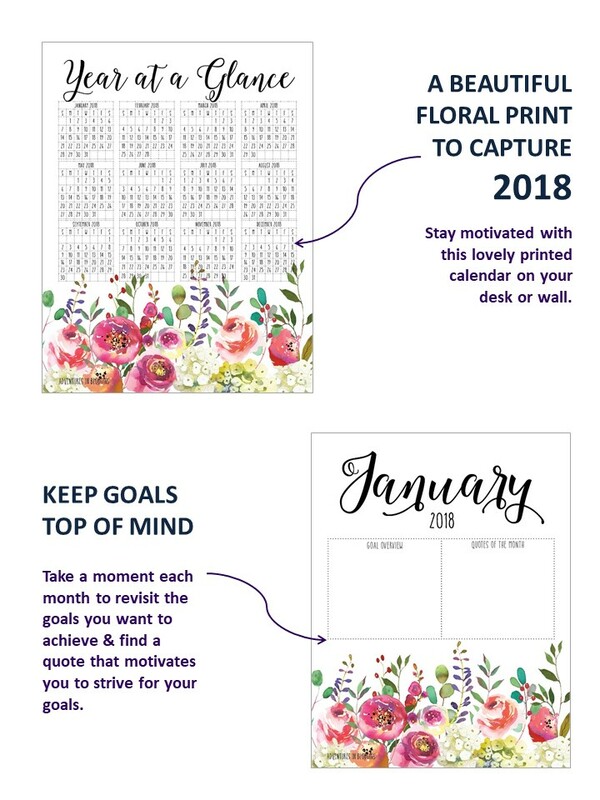 Grab your planner today and start achieving those BIG GOALS & DREAMS!